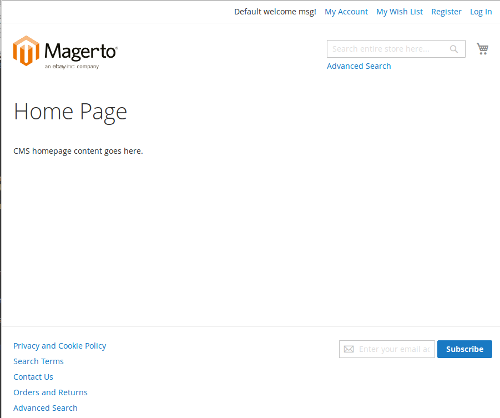 Installing Magento version 2 on an AWS (Amazon) Free Tier EC2 Instance On LEMP – Everything Command Line Way! This article tries to demonstrate how to setup an AWS (EC2) instance, installing a LEMP stack, preparing the server environment to meet Magento’s requirements and then to finally install Magento v2 using commandline approach. 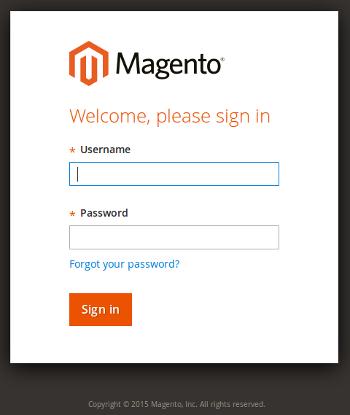 Magento is doing an good job with the new spirit that is in the form of the magentov2 devdocs – click. This knowledge-base is my main reference for magento 2. But please help in anyway you can to keep it updated and also improve it, you can easily submit pull request via github as devdocs is hosted in there. Note: Since this article is quite lengthy in its aim, I’ll be a bit straight forward with things that you can figure out by googling / your intuition. For the faint-heart, creating a free account with AWS Free Tier package, is not a quick process. It took around 4 days for me. Why? The credit card is also there for AWS to bill you in case you want to go overboard of what they are currently offering for the Free package – AWS is flexible and elastic in almost all their products – each of them are really decoupled. The partial screenshot above show how the AWS dashboard looks like. 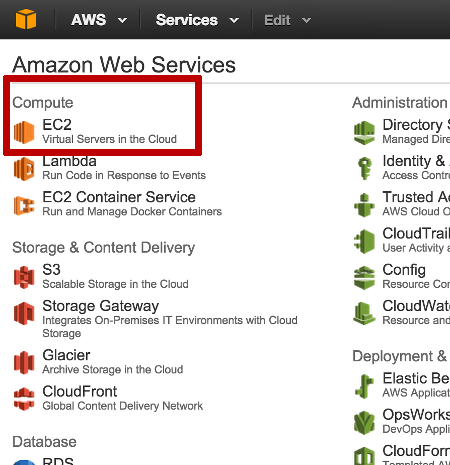 Of interest to us, is the EC2 sub-menu highlighted by the red rectangular box. In the menu above, click on Security Groups under Network sub-menu. A popup like the screenshot below will be shown to you. 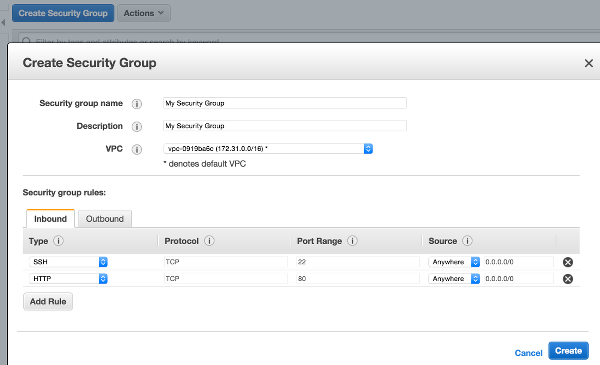 Here, I’ll add only two rules for our EC2 instance to be accessible over SSH and over normal HTTP. And note that for both, I have also set the rule so that it is accessible by anyone anywhere – but if you want your instance to remain private, just put some IP restriction in there. After you click the Create button, you will be asked to download the generated PEM file. Please save it somewhere safe & handy as this is your central Key to accessing your instance. But with AWS, this is not possible when you first create an instance. 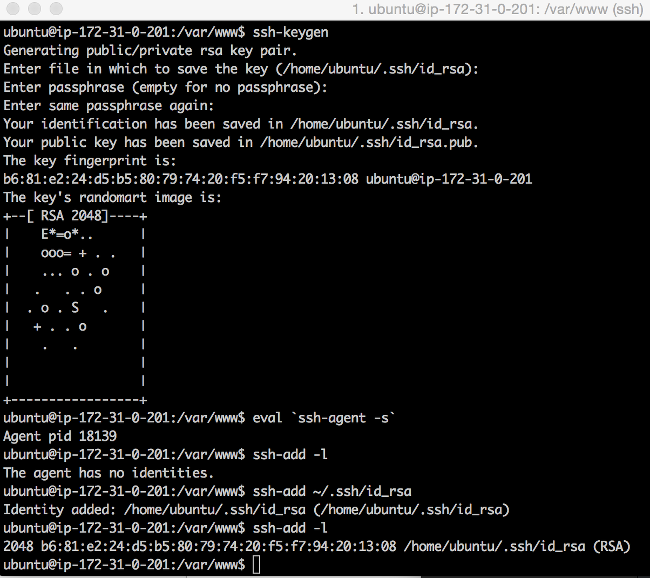 I said first, because after you use a PEM file, you can setup your box to be SSH-accessible using login/password. 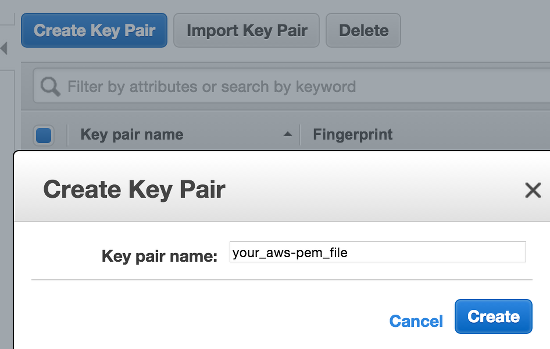 AWS adds an extra security layer by requiring you to create and use a PEM file – about AWS PEM files! In essence, if you know about ‘SSH-Keys private/public‘ usage, you are fine with pem files. I have chosen “Ubuntu Server 14.04 LTS (HVM), SSD Volume Type“. I have chosen 12 GB / General Purpose SSD. You stick with the default 8 GB, that’s fine. You do have 30 GB a free-tier though. This is the final step, please review all your configuration. Once satisfied, click launch and let’s rock! Assuming everything went fine, you will see your instance listed as a Running instance, with a random public IP on the Instances Page. Now we need to create and assign an Elastic IP to it. So on the left-menu, select Elastic IP. Once there, create one and associate with your Running Instance. So in brief, an elastic IP is really helpful. You will note the prompt: “Are you sure you want to continue connecting (yes/no)?” –> type yes. Before installing your LEMP (or LAMP) stack, it’s good upfront to know what server requirements Magento adheres to! See Magento 2 Devdocs Server Requirements for additional info. i) I use MariaDB as a substitute for MySQL, but you can use MySQL or even Percona which is an excellent dropin replacement for MySQL. ii) Magento 2 has as prerequisite of MySQL version 5.6, NOT 5.5!! So the equivalent 5.6 for MariaDB is version 10. 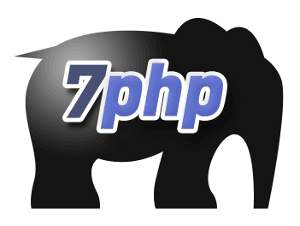 We will Need to use PHP-FPM because we are using Nginx. Ok, now time to update some php.ini settings to handle magento. Install composer and place in your ENV Path. I change directory to /tmp because it’s a folder that has read/write permissions and I use it as a place where I do all quick dirty stuffs. So I first download composer which is the quick dirty task, dirty because the downloaded composer file will ultimately be placed somewhere else. Now high time for our deep dive, installing Magento 2. If you have no clue of what I did in the screenshot above, ssh key/pair gen.
2) Bind our public SSH key with our github account. Ok, now that we have the magento 2 project locally, let’s use composer to install all it’s dependencies. We’ll run composer install since magento also committed their lock file. $ sudo chown -R www-data . First thing first: Magento puts in a nice sample conf file in its project directory, named as nginx.conf.sample. I will use that file. I see no point in renaming it into nginx.conf in a DEV environment. So I’ll keep it ‘as-is’ and ‘where-it-is’. So far, things should be fine..
Of course you will need to put your user instead of [user]. Consider creating a user and assign that user with rights to only the database magento2. Don’t use the default root user. VOILA! If everything went fine, you should have seen the above green message on your terminal. If you made it till here, I’m thankful. If you find any kind of improvement or optimisation on what I demonstrated above, feel free to drop a comment below! I’ve been trying to install Magento V2 on my EC2 instance for the past two days now. I came across your post and it’s definitely the best one so far. I’m really new to Ubuntu and Magento, and still having an issue, I followed your guide step by step but the installation isn’t going through. I’m getting “bash: bin/magento: Permission denied” ? I’ve tried googling I but couldn’t find anything about it. I can’t describe to you how tired I am 🙁 Would appreciate it if you could help me out on this. You’ve done a great job putting it all together. There is a simpler way to deploy Magento 2 on AWS: use the automated services. 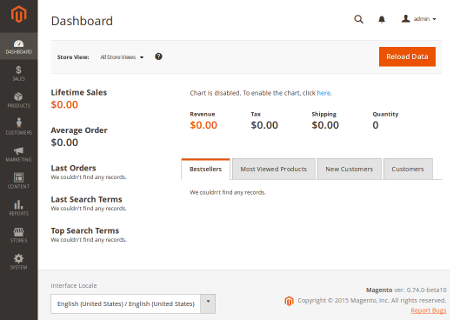 For example Deploy4Me supports Magento installation in a few clicks. Very strightforward and no pitfalls. Nice article. I don’t think running git in sudo mode is a good idea. Having setup folder permissions properly you wouldn’t need to do it. How doi install a theme after all these steps. I need to to have a e-commerce site like a fashion store or a electronic gadget store ? Any help is greatly appreciated. ? Great tutorial, but isn’t it better to use PaaS like Heroku or Cloudways to deploy Magento on AWS? This method is much easier and it saves a lot of time as well. Manually install on AWS might also require you to have sysadmin skills and understand AWS docs. Using PaaS as you mentioned are managed solutions and as such are for people that do not want to do everything themselves. The example I illustrated in my article are for those that like to do some side DevOps (dev with sysadmin skills) on the side.